Although the brands stopped short of committing to a monthly pay of at least $177 (up from the current minimum wage of $100), they acknowledged that an “assured, inclusive, and consistently applied national collective bargaining process” was overdue. 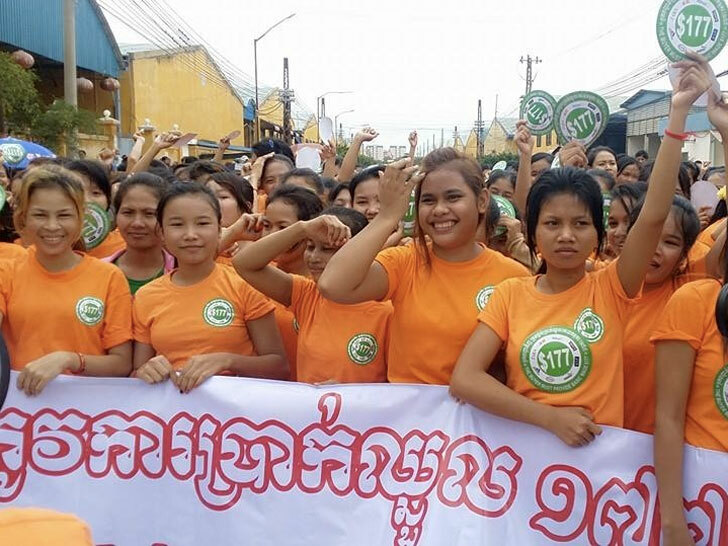 Ath Thorn, president of the Coalition of Cambodia Apparel Worker Democratic Union, called the message an important development, albeit one that doesn’t excuse retailers from playing an active role in negotiations. Government officials and union representatives are scheduled to meet in October to discuss minimum-wage laws for the garment industry. 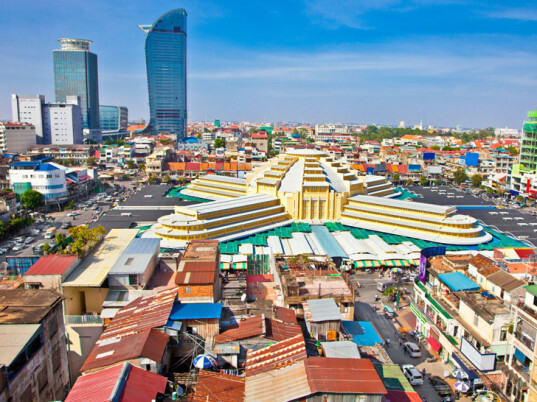 Clothing manufacturing is now Cambodia’s single-largest private employer, bringing in $5 billion each year, or more than a third of the country’s annual gross domestic product. After thousands of garment workers rallied across Phnom Penh last week to renew demands for higher wages, eight of the world's leading fashion retailers said they are willing to pay more for clothes made in Cambodia. In a move that labor-rights groups call "unprecedented," C&A, H&M, N Brown Group, New Look, Next, Primark, Tchibo, and Zara's parent company, Inditex, sent a letter to Cambodian Deputy Prime Minister Keat Chhon pledging to pay higher prices for Cambodian goods to ensure a "fair living wage."